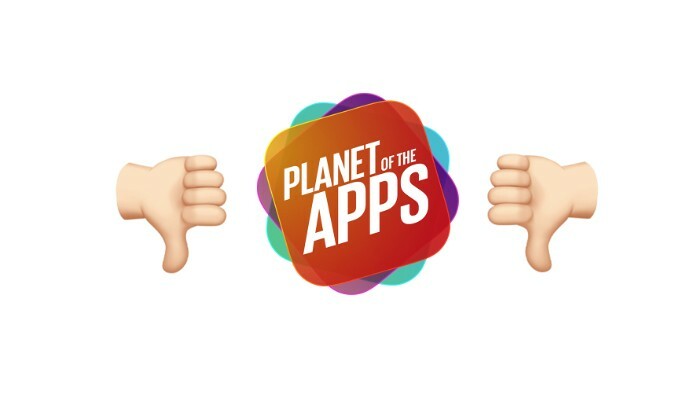 Planet of the Apps. No. How hard do you think it is to make money in the app store? I’ll save you the bother: It’s really, really hard. The app store now has the same economics as other popular media such as music, movies and books. We all know the big blockbusters, the chart toppers and the best sellers, but we rarely stop to think of them as the tip of the iceberg for their industries. In reality, for every J.K. Rowling, there’s thousands of unknown, yet-to-make a-penny, novelists. And the exact same goes in App development. Yeah: There was a day when someone made a quarter of a million dollars a day selling a fart app, but that’s a story that seems to (ahem) linger. That was 8 years ago and the days of make it big in a short amount of time have long gone. The big money in the app stores overwhelmingly goes to the big companies, and there are some independent developers who continue to do well, they are J.K. Rowlings of the App store. And now, Apple are going to give us a whole new way of thinking about the App store. Ignoring, of course, the irony in launching a “Dragon’s-Den-For-The-Americas-Got-Talent-Generation”. The early rounds will be contestants put there for our amusement. Their ideas will be bad enough for everyone to recognise. The most common backstage interview question will be “how much of a difference will this make to your life?”. — Thinking that Apps are knocked together in days. (In fact, the show will probably help promote this myth). — Every second app will be Uber for X (yet nobody will understand the term “two-sided business model”). Ballpark figures for development will be shunted around with reckless abandon. When was the last time you actually purchased an app? You do realise that the chances of making money off the app store are almost none? And the second area? Well the contestants are getting a bazillion dollars in marketing costs for free for their idea. They’ll be on a TV show, and will be given prime placement in the App store. Coverage that average independent developer could only dream of. The net affect of this is more and more people thinking that making it on the app store is quick and easy. “Reality Shows” are never that. They are entertainment, put together by teams of people so that the hard work is cut into bite-size chunks, hiding the effort and skill required to get there, and often devalues the reality it claims to portray. The app store is a cultural phenomenon; I guess it was inevitable this would get made. Here’s hoping for one short, soon-to-be-forgotten run.